Teachers’ technological pedagogical content knowledge (TPACK) involves an awareness of instructional approaches, methods, and knowledge of building on technology to enhance students’ learning. The purpose of this study was to evaluate the TPACK of teachers in Saudi Arabia and USA, and then describe the factors affecting teachers’ TPACK through an analysis of covariance that incorporates age, teaching experience, and education level as covariates, and the seven levels of TPACK as dependent variables. Differences found between teachers in the US and Saudi Arabia in terms of TPK, and TPCK. The analysis of variance indicated that teachers’ from the US and Saudi Arabia differ in their perceived TPACK when controlled by years of teaching experience, and educational levels. Teachers in both the US and Saudi Arabia had higher rating of their knowledge in content and pedagogy than technology knowledge. Teachers in Saudi Arabia, however, had higher TK, TCK, TPK and TPCK than teachers in the US. Alqurashi, E., Gokbel, E.N. & Carbonara, D. (2017). Teachers’ knowledge in content, pedagogy and technology integration: A comparative analysis between teachers in Saudi Arabia and United States. 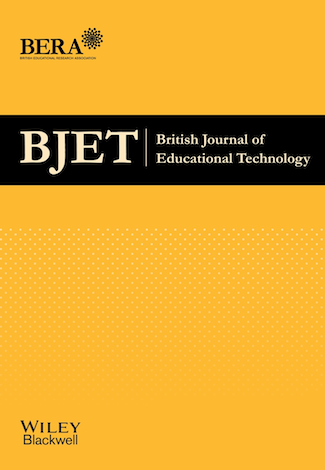 British Journal of Educational Technology, 48 (6), 1414-1426. Wiley. Retrieved April 21, 2019 from https://www.learntechlib.org/p/181112/.